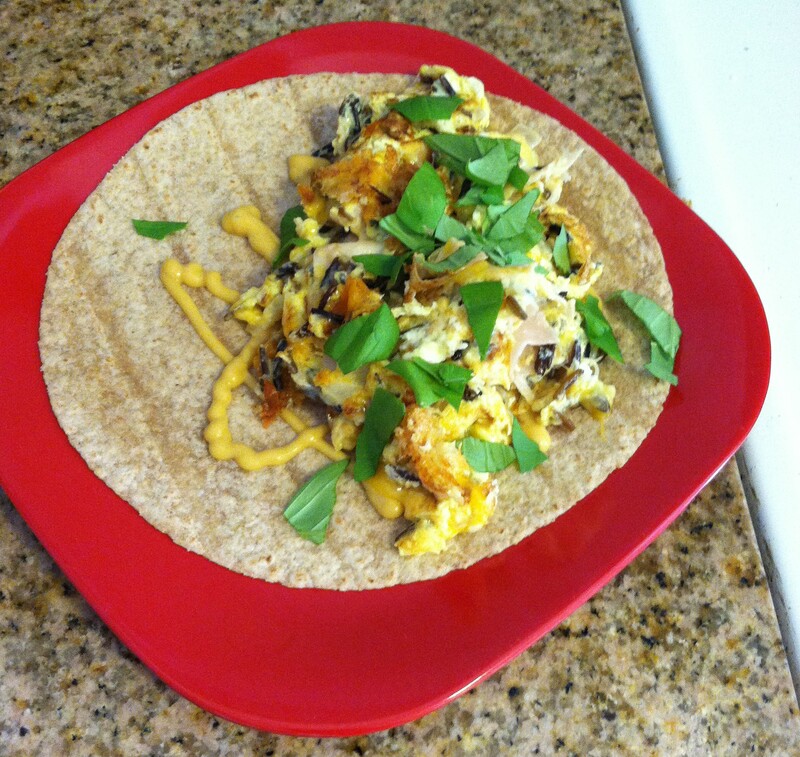 I had eggs, turkey slices, a bit of cheddar cheese, leftover wild rice, some diced onions, whole wheat tortillas and the one condiment I can’t live without, honey mustard. Beat two eggs in a bowl. Tear or cut up the turkey and add it, along with the rice, into the eggs. Grate about 1/4 cup of cheese and set aside. Next sauté the diced onions in a small pan until golden. Add the egg mixture to the pan. Cook eggs thoroughly. Add the cheese in once eggs are cooked, turning off the heat. 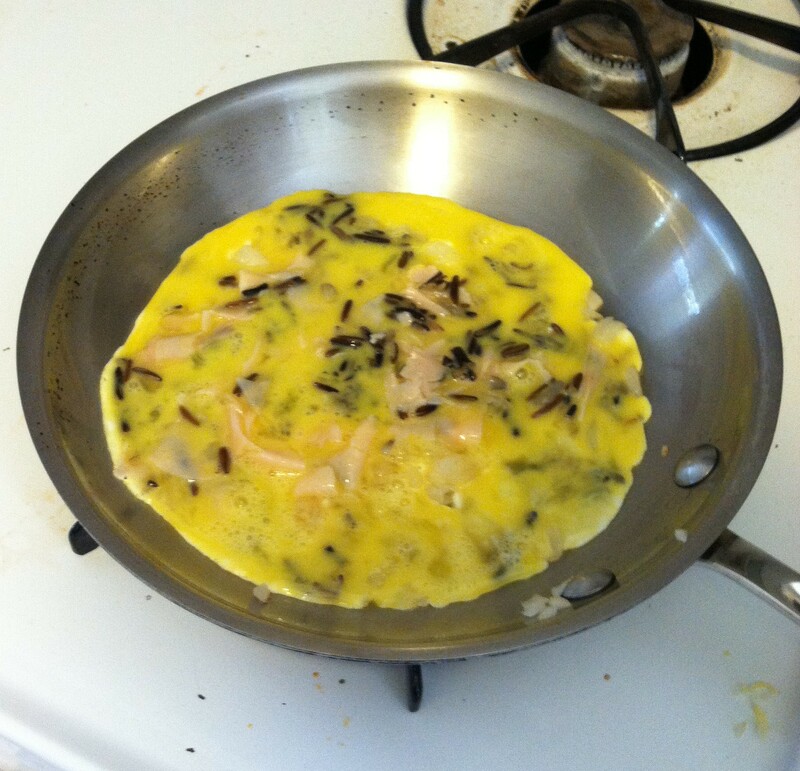 Mix in cheese, letting it melt and then put eggs onto tortilla. 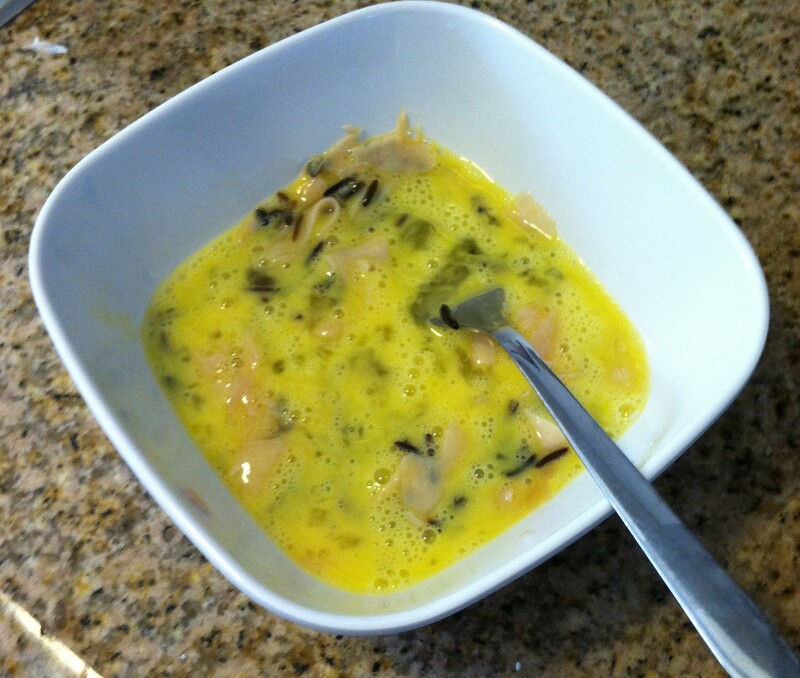 Drizzle honey mustard over eggs and garnish with basil. 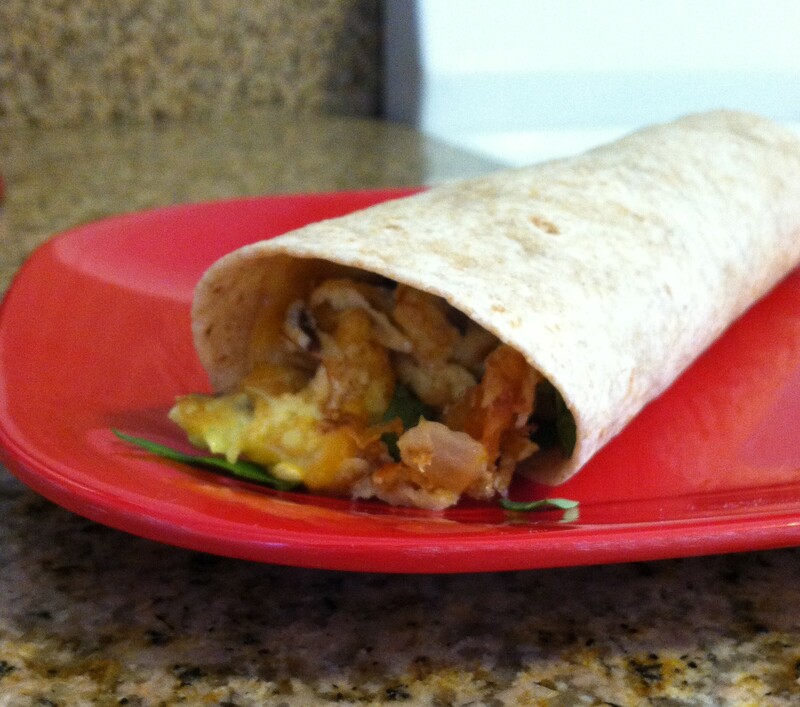 Roll up tortilla and serve! Beat two eggs in a bowl. Tear or cut up the turkey and add it, along with the rice, into the eggs. Grate about 1/4 cup of cheese and set aside. 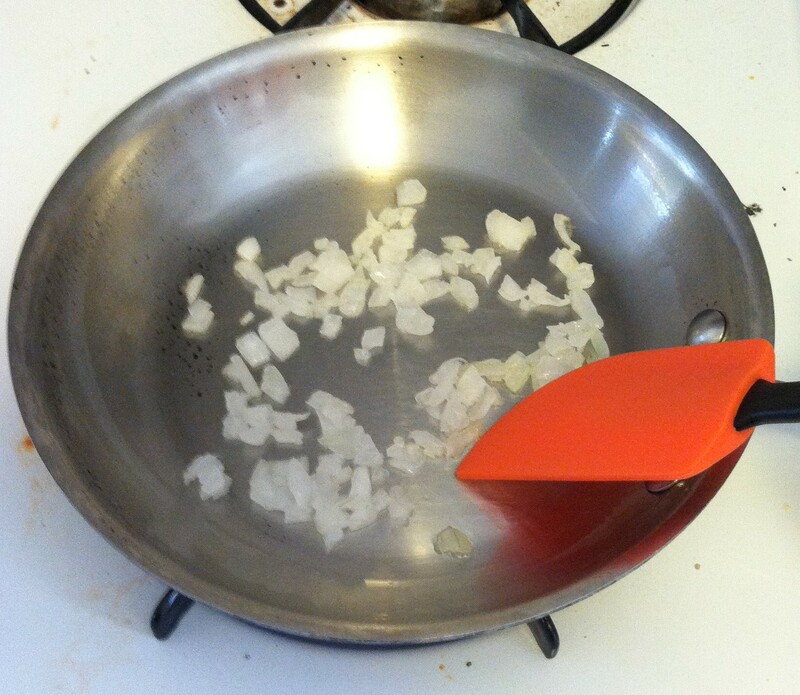 Next sauté the diced onions in a small pan until golden. Add the egg mixture to the pan. Cook eggs thoroughly.